talk and act about dementia. 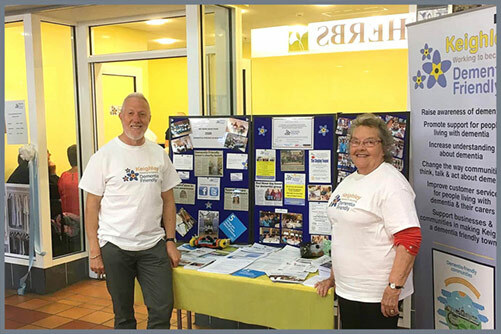 Dementia Friendly Keighley provides local guidance and information to create awareness of dementia and provide support through activities and services. Dementia Friendly Keighley have a target to reach 5000 Keighley dementia friends by the year 2020. If you would like to become a dementia friend and support this target, whether its just you, a group of colleagues or a community group, get in touch as we can deliver the hour session free of charge with one of our Dementia Champions. Get in touch and support your local community! To contact Dementia Friendly Keighley with your request. Our Dementia Champions can deliver the sessions to anyone or any age and below provides a breakdown of who they have worked with so far. Have you heard about our Dementia Drop In Sessions? 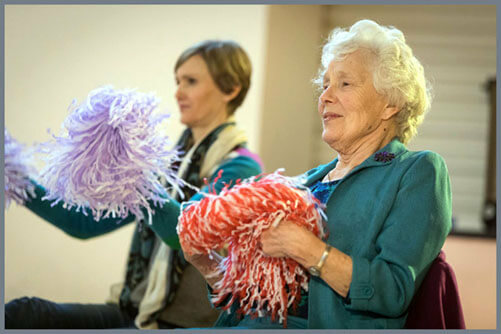 We provide two weekly sessions for people living with dementia to attend whilst their carer/family attend appointments or have time out. Get in touch to say hello, share your experience, ask what support is out there or offer some time to volunteer for Dementia Friendly Keighley.